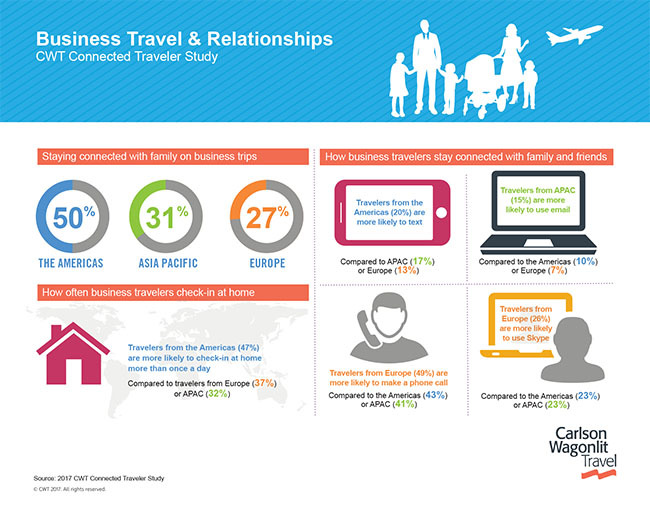 In a study conducted by Artemis, client Carlson Wagonlit Travel found that business travelers from the Americas are best at staying in touch with family, relative to travelers from Asia Pacific and Europe. Half of business travelers from the Americas contact their families during business trips as compared to around one third of Asian Pacific and one-quarter of European travelers. See the full-size infographic of the results here [PDF].